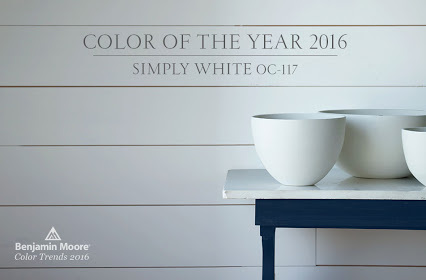 I was reading on Houzz the other day that Benjamin Moore had decided that the color of the year for 2016 was going to be Simply White. I did a double-take...do what? White?? Do you know how many people have painted their walls every color BUT white over the years? Now, you are telling us that the new trend will be plain white walls! Really? Seriously? It just goes to show you if you leave something alone long enough, it will come back in style...you know...like tube tops, bell bottoms, Starsky & Hutch, the Dukes of Hazzard and big hair. White! Who'd a thunk it! But, it is only a trend...like everything else. Do you ever follow trends? I do...sometimes. It just depends on what it is and whether or not I will like it in my home. Will I have white walls next year? Probably not. My dad never let us have any color other than white on our walls. As a teenager I craved a wall with a little bit of color, but he always said no. So we had white walls and avocado green carpet. And pale green drapes with liners that used those sticky pin hangers. And avocado green appliances...and peace, love and mushroom stickers all over the kitchen cabinets....my mother went through a phase in the middle of the night one time. We went to bed with plain wooden cabinets and got up the next morning with what we called "hippie" stickers everywhere and "Lean on Me" playing on the record player....it's just how it was in the 70's.....but I digress. Since white walls will be the new trend next year, I started looking around at some of the things that are trending right now. There are so many resin deer, cow, ram and antelope heads currently hanging on walls. I found an adorable little antelope head that looks great over our bar area....but only in this home. I don't think it would have worked well in any of our other homes. The hubster is upset that I chose a resin animal head to hang on the wall rather than the REAL deer head he has. He did offer to spray paint it white...I knew he was being facetious so I turned him down. Greige, you are gettin' kicked to the curb, buddy. I had never heard the word "Greige" until I started blogging. After I heard it, I had no idea what color it might be. Gray + Beige.....mystery solved. Yep...made 'em...gonna let 'em hang for a while. 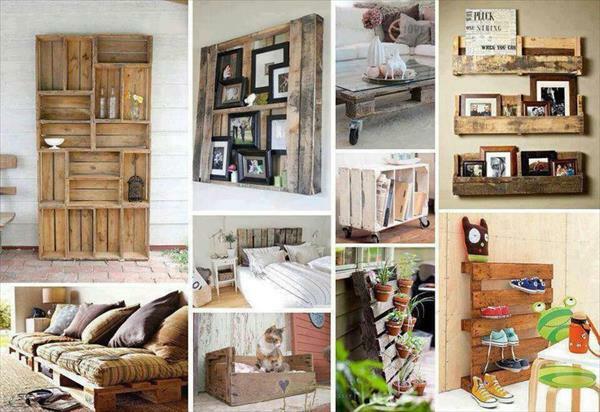 Look at Pinterest....there is a plethora of pallet projects....say that 3 times really fast! These are just a few of the trendy things happening in the design world. What trendy items do you have in your home? I'm with you on the wall color...go with what you love. I do like white in the right room, but it is one of those wall colors that wouldn't work for me in this house. The rooms are small and need something to give them a little interest. Now, I could totally see my little mountain cabin with white planked walls...LOL Hugs!! I'm not trendy either. Still love my red....no greige walls here but I did paint one room white. Our house came with white cabinets that are glazed. That's definitely on trend and I love them. I love white cabinets! My dream kitchen has white cabinets, with white carrera marble counter tops, a white farmhouse sink, stainless steel appliances and silver chandeliers. Yep, while I'm dreaming, I dream big...LOL And you are definitely on trend with the white cabinets!! Well, I'm trying to think...I have a little gold ceramic owl on my desk. Is that in style? Not gold-gold. Yellow gold. Owls were a thing for a while. Animal heads, naw. Gold, I've always liked gold over silver. I'm glad you cleared up what greige is. I never figured it out. But I just plain don't care for gray. Tan is fine. White is fine in small doses. I wouldn't touch those pallets with a ten foot pole. Lots of them have chemicals on them. I think owls are still trending. I've seen them on different sites. I do like gray, but it has to be the right color gray and I have a hard time deciding because there are so many different tones. I like some of the pallet projects, but I've been unable to find any pallets to do anything with since they became popular. Forgot to say that earlier this week when I heard the new trendy color was white, I just laughed. I thought: Well, here's some more white/beige decorating blogs about to be created. Most definitely. So far, I’ve only seen one person who has been able to pull off the white on white on white look and that’s Kris at Junk Chic Cottage. She has done a beautiful job with her layering of whites and the white walls. Waaaay to late for me to have white walls in my house!! I have a kinda white kitchen! I don't follow trends in anything because I like stuff that lasts a long time and trends usually don't. I just keep adding stuff I love which happens to be vintage, rusty, chippy stuff. When I was growing up, I always wanted my house to have a lot of bedrooms and I wanted each bedroom to have a different style. 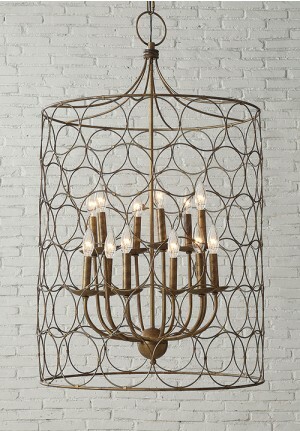 I wanted one to be sort of rustic primitive...I love that look. I wanted one to be Victorian...I love that look. I wanted one to have my "princess bed" complete with canopy (I obviously was not thinking about a husband...LOL), one to be pink, one to be 50s, and so forth. Since I've never had a house with a lot of different bedrooms, I've sort of changed up the decorating in the different houses we've had. 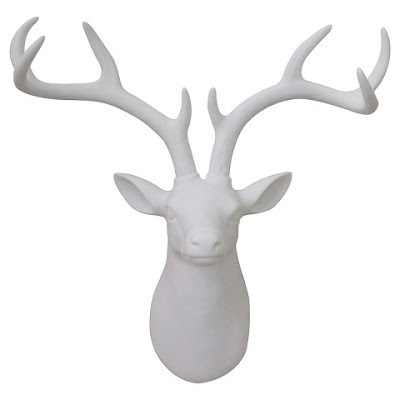 Hubster painting a real deer head white is too funny but sounds like a slippery slope! Think about it, he could start a new trend and have all the new paint companies vying to sponsor his new creation. He would have to guest post on CQ and then all those annoying ads would start popping up slowing down my turtle speed rural internet. He would have to tell us in NITTY GRITTY DETAIL everything - how he prepped the surface – what grit of sand paper or is it a job for TSP, do you frog tape the eyes, lips and antlers, the mind boggling decision of whether it be chalk paint or not, do you add water or fabric medium, how many coats, did he sand in btwn? Exactly what shade of white did he use, did he add glazing, did he distress it or not, what sealer to use. And of course we would need a 6 mth and 1 yr update to see how it is wearing and what cleaners to use. Then next thing you know he will want an Etsy acct to sell them online. I can’t decide if you better shut that one down right away or let him try it and get a little blogging learn burn on him - LMAO! Great foresight – let’s save the Roberts Family fame for something stick related lol! As a plug for white paint, many moons ago I worked at a museum/art gallery and the gallery walls were plain old white. As exhibits rotated thru every few months you are constantly re-hanging artwork of various shapes, sizes and types from the walls and ceilings and white matches the nail hole patch filler. You pound your nails held in a set of pliers so you don’t ever accidentally bruise your walls so when filled they become invisible. Gallery walls would get a white repaint about every 5 yrs due to people grunge more so than nail holes. Food for thought as you tiptoe around your virgin walls. Have you ever exhibited your work? Ah ha ha...I am still laughing at all the hippie stickers all over the cabinets...do you have a photo of that you can post? lol! Like you I said I'd never have gold anything...but did bring a few things in and liked how they looked too! Copper is all the rage now too...but like with any trend I usually don't jump all in...I found a few copper pieces at the thrift store and am mixing them in now for fall/winter...that way when the trend dies I don't feel like I invested a lot of money. How come sticks were not in your list as a top trend? What? No sticks trending? Have a happy Thursday friend! Hope you've had a great day! Hugs!! Yep, I saw B Moore's announcement too. Oh well. Remember when no one would wear gold jewelry, only silver? And I once gave all brass stuff to GW, now it's back. Resin anything? All I can say is be careful not to drop it while cleaning. Within one week I broke a gorgeous western cross my daughter gave me and the wing off an angel my sister gave me. So butterfingers. Do you know that I saw an article about the color Greige in a 1930s Vogue magazine! Pallets for anything used inside? Isn't there a toxic substance in them? I think pallet furniture is just a little too much like things I remember from hippie days. I never had stickers on my kitchen cabinets back then, but I had a wall of wine labels lacquered to a kitchen wall! But I'll certainly admit to being fascinated with reading about coming trends. And remember the list we'll be seeing towards the end of the year soon? The What's In and What's Out lists. I love reading them. I still prefer white gold or silver to gold jewelry…but I know the gold jewelry is making a comeback. I remember in the early 80s when brass was all the rage…I had some of it and sold it at a yard sale. Awww, I’m so sorry about your resin pieces...they are so hard to repair once they break because of all the small pieces that chip away. Really???!! How cool is that….that it was popular back then. But it all comes in cycles….if we just wait it all comes back around. I think the toxic stuff is whatever they’ve treated the pallet wood with. I don’t have any of those projects…no pallets are to be found for me, so it’s just as well. I love reading those lists also and am looking forward to them being published! Love and hugs to you!! What goes around comes around. White walls? Thinking that over for a couple of small rooms....,but not sure. Growing up, all our sheetrock walls were white. No animal heads on my walls or fireplace. No pallet furniture...just not handy enough with power tools. Will brass bathroom fixtures ever return? I still have some from the 1980s, but have replaced some of them with stainless steel/chrome/? I need to replace the remaining brass fixtures because our hard water ruined their finishes. You are so right...it all comes in cycles and what was out last year will be in again in 2 years. I figure the brass fixtures will be back in before too long. I'm not good with power tools either, so I stay away from those projects also. Plus, the pallets are impossible to find because they are so popular right now. Sort of weird...white walls, deer heads, greige paint and drop cloth...I have around a good 4 years of knowing this because I've been blogging for 6. Sort of a trend but very much loved and it works for so many so who's to complain?! I'd love to say I don't follow trends but that's just to sound cool...lol! I pick up a lot from the latest and I mix it into my own stye. I don't think I ever go 'full on' with trendy stuff, I like to be an individual with ideas of my own. That's the fun part, right? Being creative and original? Thanks for keeping your topics so fresh and cool!!!! Awww, thank you so much Jane. Like you, I never go full on trend because I like to mix my own things and some trends, I just don’t care for in my house. I think they are beautiful, but they just wouldn’t work for our lifestyle. So mixing a little trendy with my current style and then throwing in a few vintage things I love….it all works for me. And you are so right…that is the fun part...being a little trendy and a little original…sort of like Donnie and Marie…LOL Hugs!! 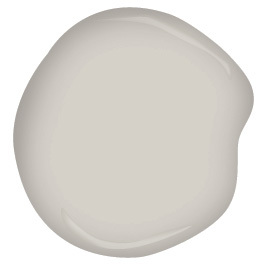 I just painted a room white, without knowing it was trending. I guess that might make me trendy. Or not. My thought process was ... I'll let the color in this room come through its furnishings, and that's just what happened. I love it so far. LOL…yes, I am sure someone got paid for that information…LOL I am careful not to get sucked into too much of the trendy things either. While I love a lot of the things that are trending…subway tile, plank walls, sliding barn doors…I could get sucked in pretty quickly…and that equals lots of dollars! If I’m going to pull some trends, like with these few things, I keep it in small inexpensive accessories so that I’ve not wasted a lot of money when I’m tired of it. Our walls are all neutral and I usually have neutral walls in our houses so that I can change colors in the accessories. Trends are interesting to watch right? There are little bits and pieces that I might add if they go with what I already have. Those wood pallets just won't go away, they do add a rustic look and we had plenty of them around our new home, but I did not pick up one of them up. Our paint choices for the new home are neutral but we also have a rustic theme, so I think one could have white paint if they offset it! I will do the bits and pieces but never fully embrace a trend..they change way too often! 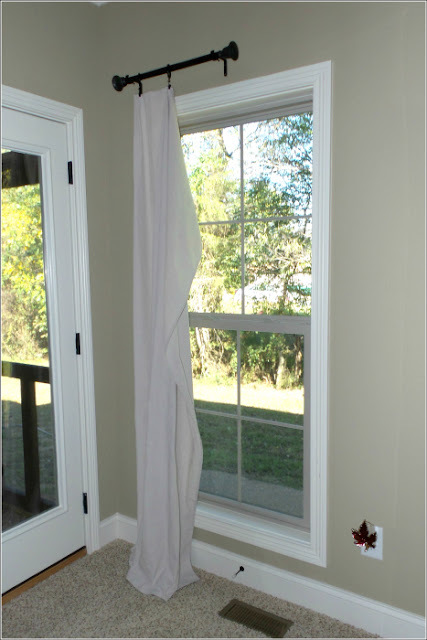 :-) White does work and looks great in certain homes...I'm reserving it for my mountain cabin! :-) Can't wait to see your new home!! So excited for you! Hugs and have a wonderful weekend!! Our house is happily comfortable for us. Nothing much changes. No place for 'trends.' Just me. Have you seen the home on IG, which is just about completely done in gold??????? Even to her sparkly gold shower tiles. OK, stop gagggging now. -grin- I won't point you to it!!! First, thank you so much for that sweet, sweet gift you sent!! That was so thoughtful and kind!! Trends revolve, that's for sure. They have moved in and out so much lately, that one things goes out of style before I even knew it was in style...LOL. I am really liking the deer/antelope heads for some reason...the hubster looks at me like I'm crazy...LOL I saw some cute things in Hobby Lobby that had some gold touches...like candle holders and stuff. The lamp I got for my desk has some gold shimmers in it and I really like that. Ahhh, so you know the 70s look well also...LOL Again, that you so very much....you are a sweetheart! Have a wonderful Halloween...HUGS!!! never have been a trend person. but then you would KNOW that! given my um... simple living minimalist thingy going. but i loved the fun and exuberance of this post! i love looking at scandinavian design... warm wood... lots of white... accents of color... texture! some have it TOO WHITE... but as long as it has some warmth added... i love it! so ... i guess i like this trend! LOLOL. But being a minimalist is trendy also....so you are trendy and didn't know it! ;-) I do love the white with the warm wood accents also and already have my mountain cabin designed for when we get to that point...it will be white, warm wood furniture and cozy all the way around! My mother was definitely a free spirit back in the day....LOL. She would do all of this stuff while we were asleep. We would go to bed with the house one way and wake up to something totally different...LOL Sometimes, it was just a box of skittles going on...LOL Love and hugs to you!! My question is.... how can all of that be trending 2016, if it's been trending for the last 2 years? And the white has been trending for 5 at least. Apparently the trend setters are a little behind. My thinking is that it was just carrying over and they didn't want to see it was a carry over...so they made it like it was a brand new trend. OR...maybe they have different categories....like "popular and might trend - let's watch to see what happens" OR "this is going to flop but let's throw it out anyway as a trend to see how many people will go for it" OR "this was so popular last year, we will say it is a new trend for this year too...no one will ever know the difference"....LOL...those are just some of my bizarre theories... ;-) And yes ma'am, I know your answer...LOL Much love and hugs to you my sweet friend!! I like to look at trends and then if i like something then I will go with it I too thought I would never have gold in my home and I have a bunch of vintage god mirror that I love-never say never. White walls are wonderful if done well. It's not a look for me except when I was renting and that was not by choice. The only way I can do white walls is the way Brenda did, with tons of color interjected through hanging quilts, etc. Great post, Benita! !